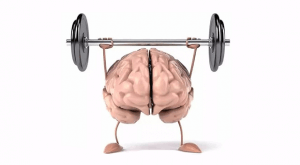 Many people take up various brain training exercises when trying to enhance their memory. Crossword puzzles are a very popular exercise, as maintaining and enhancing memory is a “use it or lose it” proposition. Other exercises one can do for memory enhancement and retention is to switch up the way one does various activities; if you play baseball, you can try batting or pitching with your non-dominant hand. Need an activity you can do at home? Brush your teeth with your opposite hand or try to shower with your eyes closed. Another way to aid in memory enhancement is to make notes and lists of the things you need to remember – write it down! Committing ideas to paper makes your brain think about those ideas in a different way; the more notes you take, the less you will actually have to refer to those notes to call up the ideas. But for those who are looking for an herbal supplement to take in addition to the various brain training exercises they do, or for those who do not have the time in their busy schedules to fit it specific exercises and activities, there is hope. The Celastrus seed, a medicinal herb that has been used successfully in Ayurvedic medicine for centuries, is on the forefront of memory enhancement studies. Studies of Celastrus are pointing to its efficacy in cognitive retention, increased learning, and memory enhancement. Compared to ginkgo biloba, this cultural and historical herb has been found to better improve one’s concentration and improve the speed at which one learns. For people searching for an herbal alternative to memory enhancement, the Celastrus seed is the first place they should look.